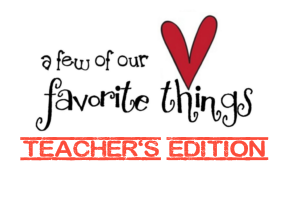 We have a lot of fun surprises planned to show our wonderful teachers and support staff how very grateful we are for the work they do – but we need your help! Sign up to help show our amazing Fairhill staff how much we appreciate them! These themes are only suggestions and ideas. Your family is welcome to do anything you would like to show your gratitude for the amazing staff of Fairhill! THEME: “Thank Your Specialists Day” – take today to personally thank the specialists who do so much for our children.